Here’s a compiled CHM version of the XSI SDK guide. 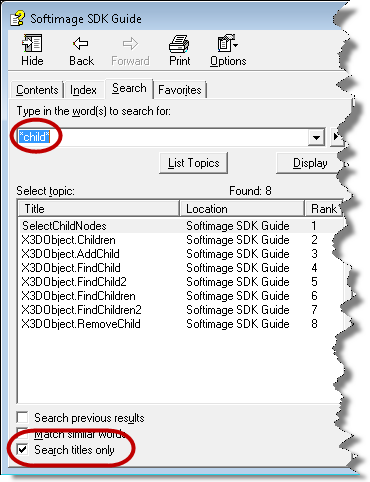 There’s no index, but you can always use Search with Search titles only enabled. If I can find my old python scripts, maybe I’ll get around to adding one (but it will just be an index of objects, methods, and properties). This year I tried the Maxscript 2013 Help CHM creator, but really all that got me was the TOC for the Programmer’s Guide. I still had to add the Ref Guide TOC, and fix up the scripting errors, and remove the unneeded navigation buttons. I do all that with a few global search and replaces. 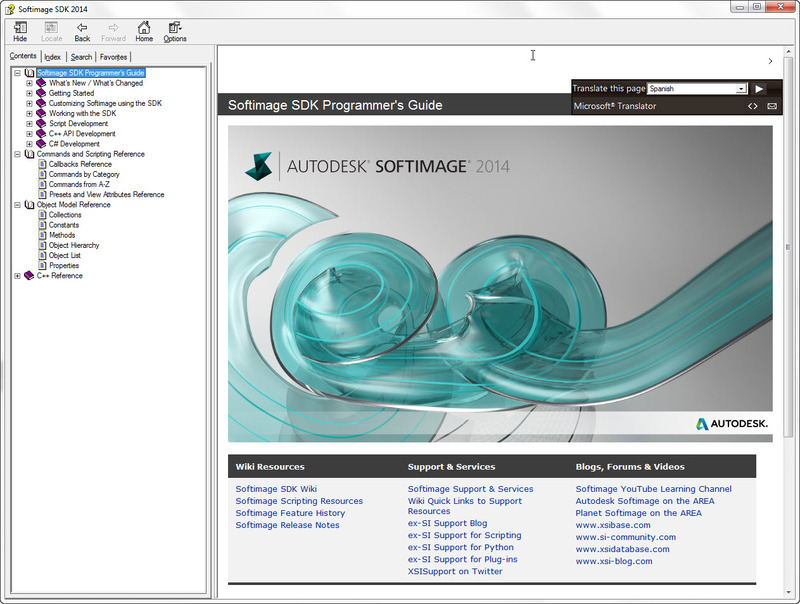 This entry was posted in SDK and tagged chm, help, SDK, Softimage by xsisupport. Bookmark the permalink.